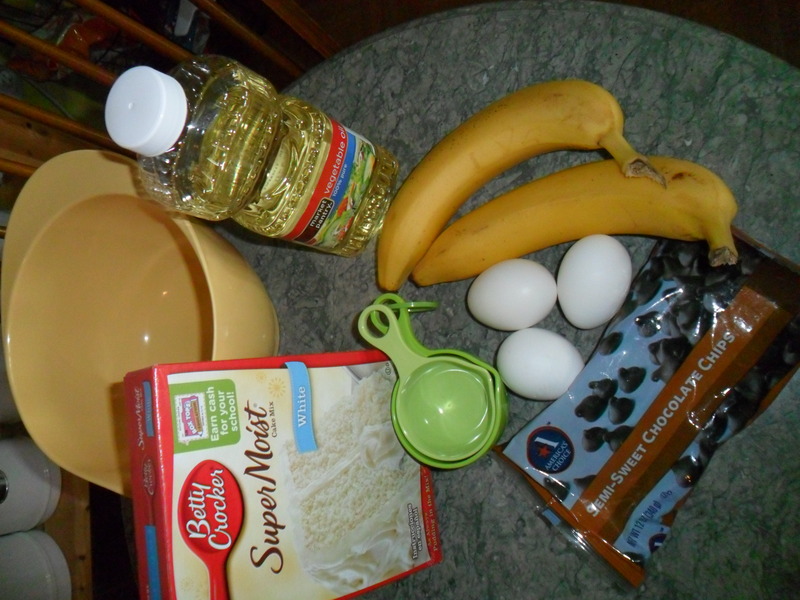 All the necessary ingredients: white cake mix, vegetable oil, eggs, water, bananas, chocolate chips, chocolate frosting. 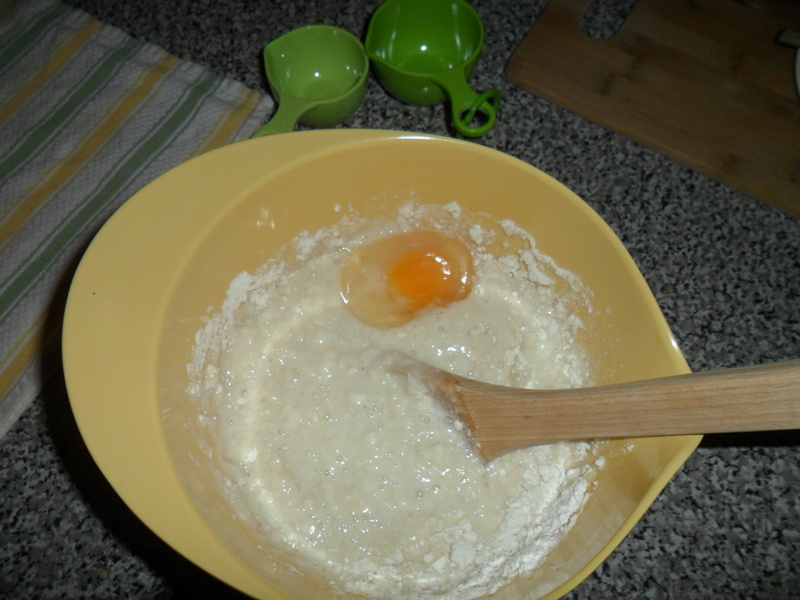 Add eggs, water, and oil to the cake mix. 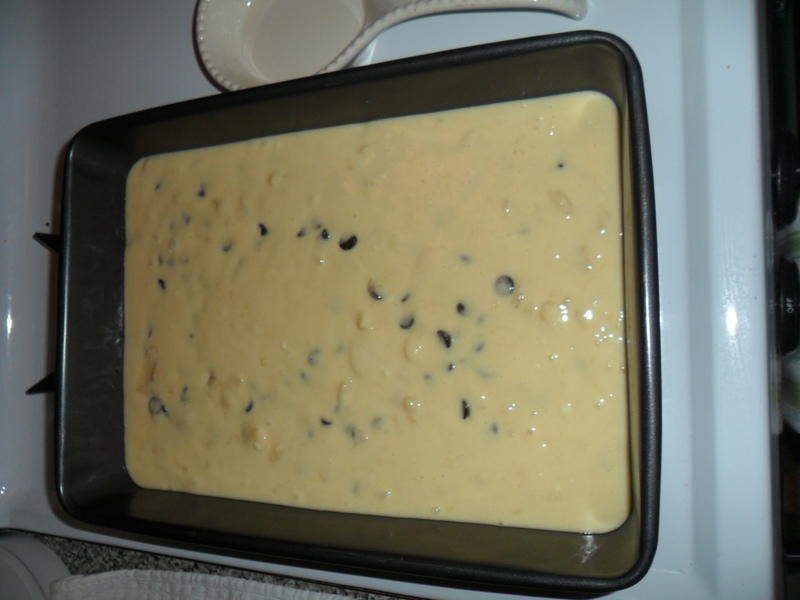 Pour into a greased 13 X 9 pan. 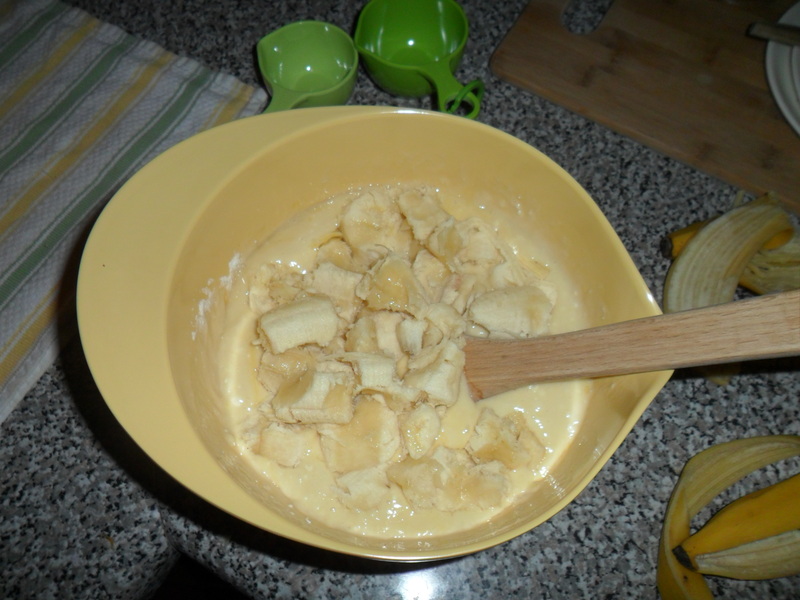 Bake at 350 degrees for 38 – 42 minutes. 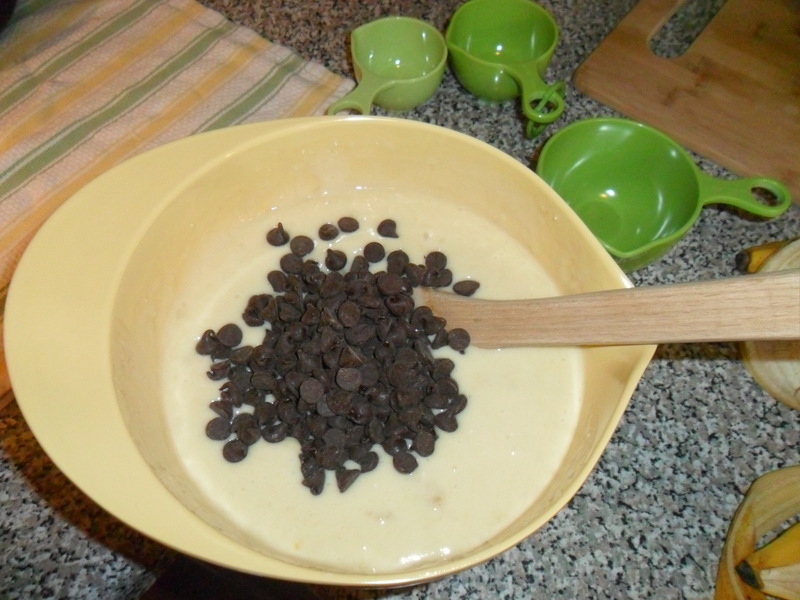 While it’s baking, get the frosting ready – you can melt it or not. I usually don’t because nine times out of ten I am making it at night to refrigerate overnight, and personally I don’t like melted frosting that immediately gets put into the refrigerator instead of served right away. 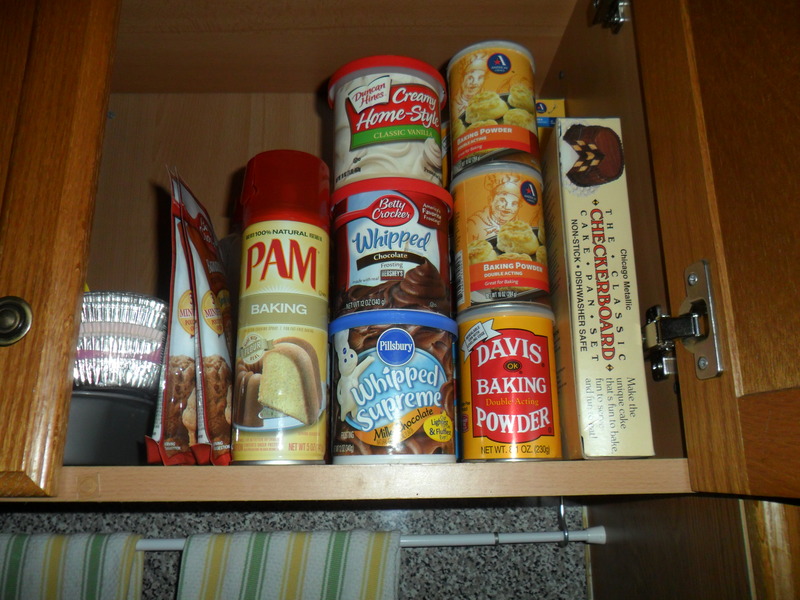 Here I have different frostings stacked in my cupboard. 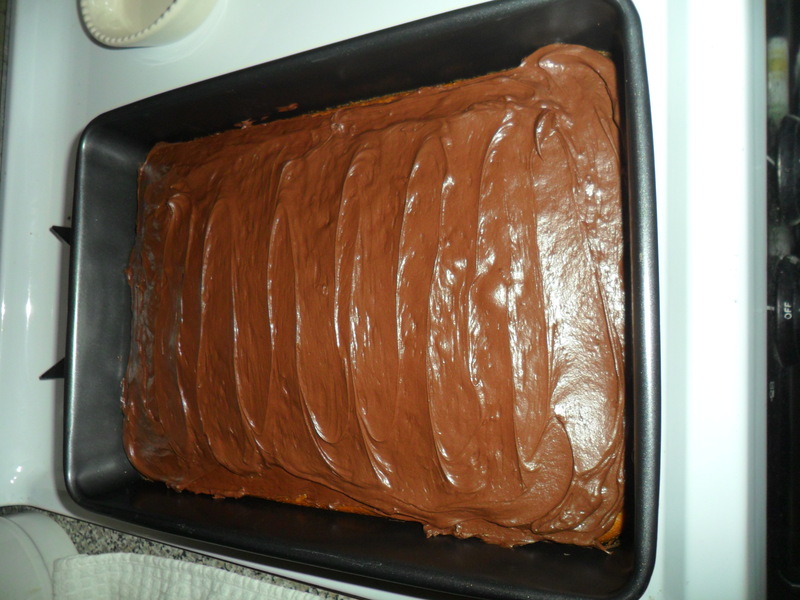 I choose milk chocolate frosting for this cake. 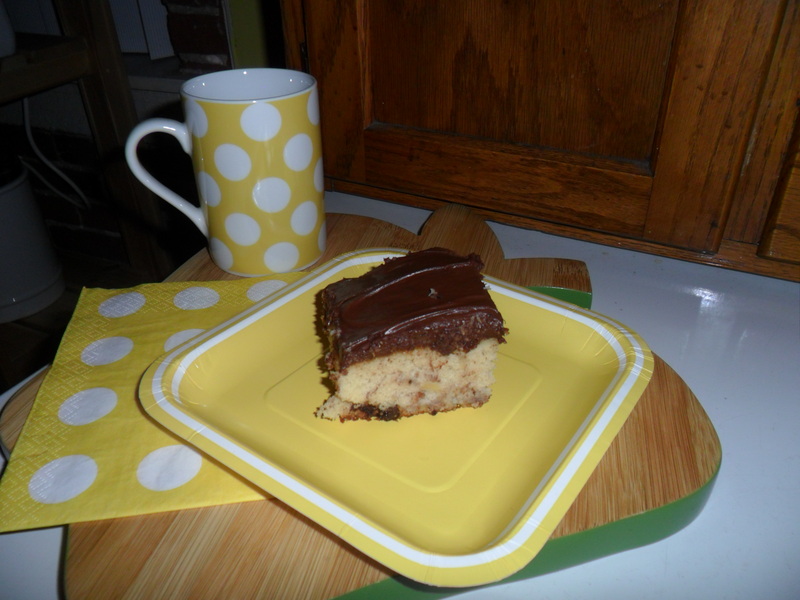 Weight Watchers Points Plus: 9 points for one serving if you cut cake into 16 square servings.